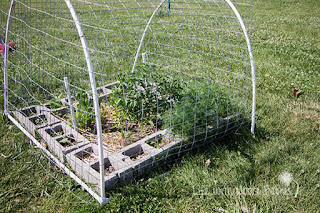 Have you ever grown herbs? Maybe it is just me, but most of them look very similar, green and leafy. I suppose once we are used to seeing them we will recognize them, but until then we needed a way to keep track. Otherwise our kitchen will become a laboratory for our dinner concoctions, and I promise, no one wants the surprise of peppery basil where the coolness of mint belongs! 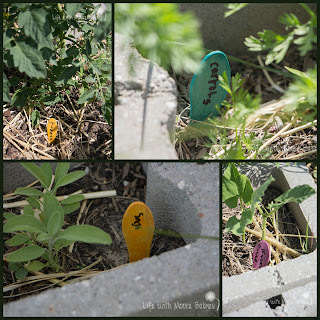 Enter our Super Simple Garden Markers! 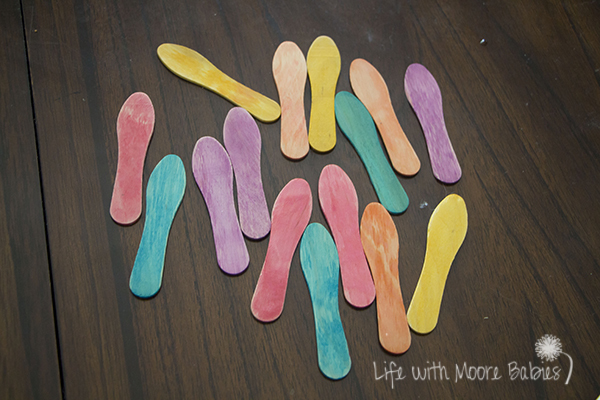 One of the best parts of these little diy garden markers is how quick they are too make! 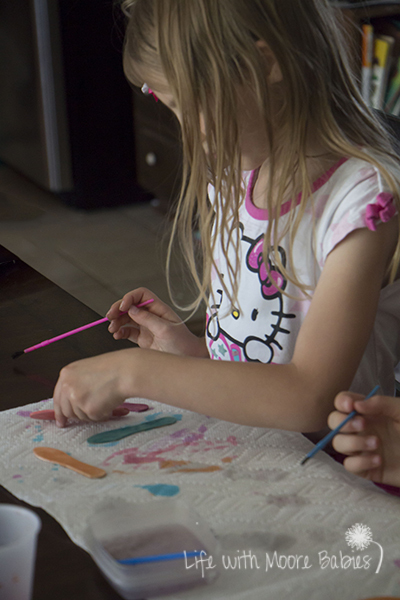 The kids made them all in less than an hour. 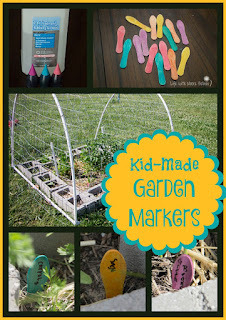 Yep, you read right, garden markers that kids can make in under an hour! 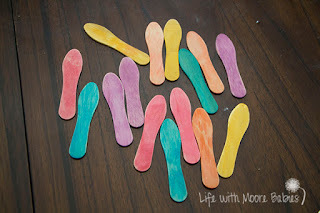 You could make some too if you want, but these were for the kids garden, so I wanted the kids to make them. You see, I don't have a green thumb or a blue thumb or a yellow thumb, or any color thumb that could be considered close to the color green, so I guess that leaves red. Me and my red thumb always have good intentions, but after the initial planting, it all gets ignored until it is over grown with weeds. But my kids love plants and dirt and food, so this year we made them their own little garden. It was simple and cheap to put together with 10 cinder blocks and dirt. We left the holes in the blocks facing up, so more plants could be planted in them (specifically herbs), On the inside they planted a cherry tomato, a banana pepper, and sweet peas; things they could snack on while they were outside. Then we filled the cinder block holes in with herbs! We actually liked the little cider block garden so much we made others to grown big tomatoes and green beans in! With all these plants we needed our little plant labels before we forgot where we planted them! 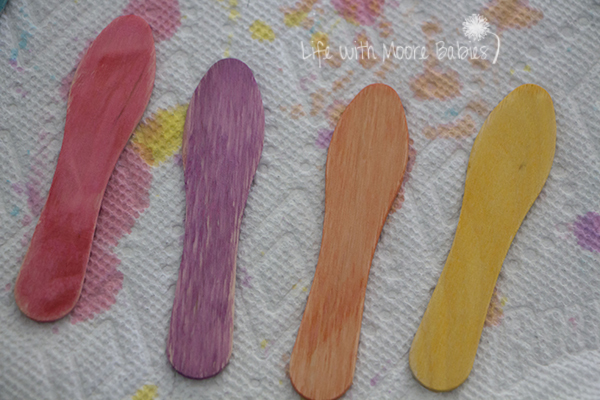 So the secret to making these super simple garden markers is rubbing alcohol and food coloring; no paint involved! You get pretty colors with very little dry time! 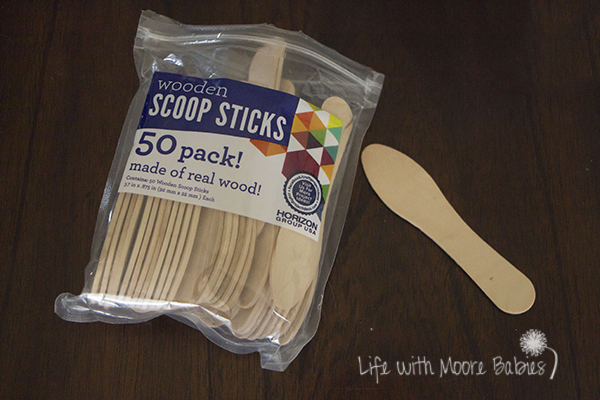 We used these cute wooden scoop sticks (provided by CraftProjectIdeas,com). Any unfinished wood would work for this project though. 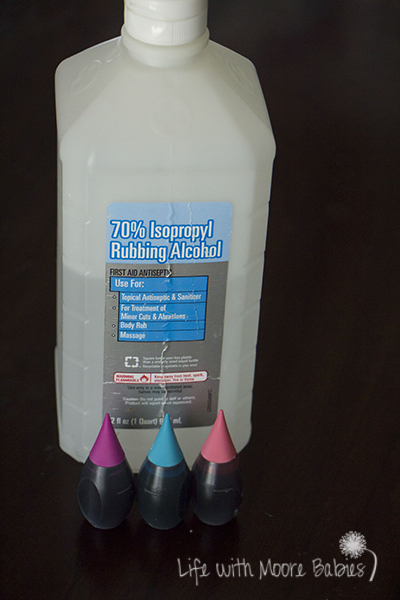 Next you are going to squirt a little rubbing alcohol in a plastic cup (maybe a tablespoon or so, no measuring required though). Next add food coloring and swirl until you get the desired color. Seriously, no exact amounts are needed here, and you don't need much unless you have a ton of plants. 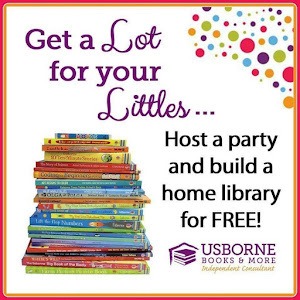 We did not even use the 5 tablespoons we had! Next you just paint your sticks using a normal paintbrush. You can also dip them, but to get them completely covered we painted. Make sure you put something over the area you are doing this in, so you don't stain something else! 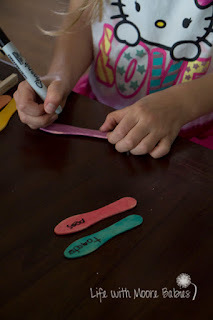 We went over ours twice because we wanted bright, colorful herb markers, and dry time is only about 2 minutes. Really, you could paint them all and the first will be dry when you finish the last. Here are all of ours little plant markers colored and ready for labeling. My girls also did the labeling with a permanent marker, but I wrote the words on the white board, so they could spell them correctly (apparently cilantro isn't a common second grade spelling word). Less than an hour has past, and the plants are labeled! 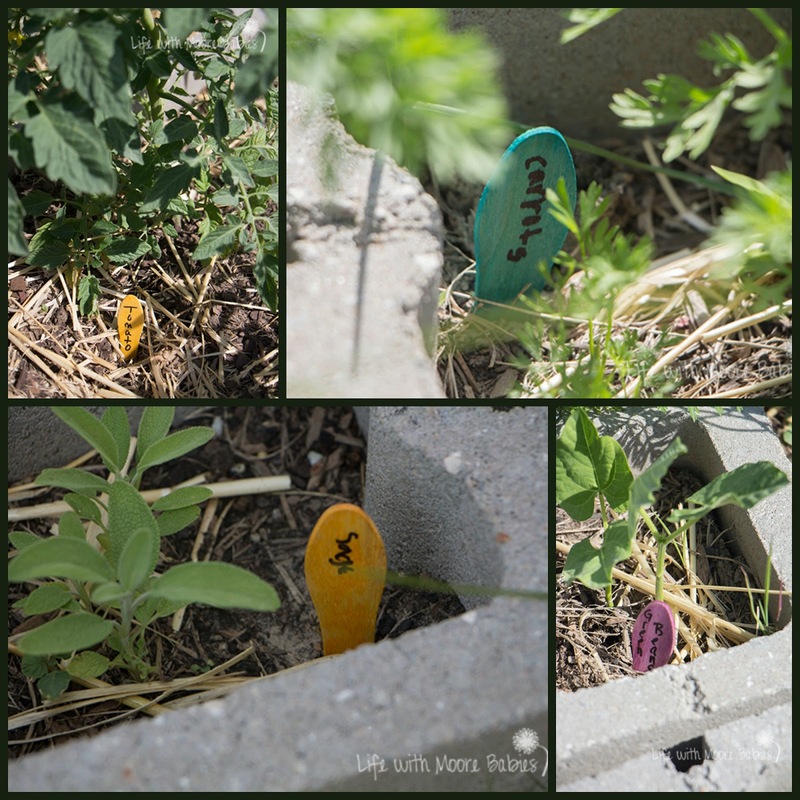 Here are a few of the Super Simple Garden Markers my kids made for their little garden and for mine! Since making them we have definitely learned the difference between basil and mint, and the kids love to snack on the mint! 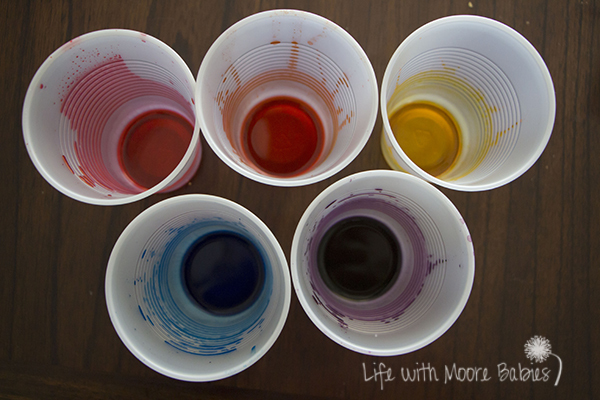 Guess our science projects will remain the only concoctions in our kitchen, thank goodness! 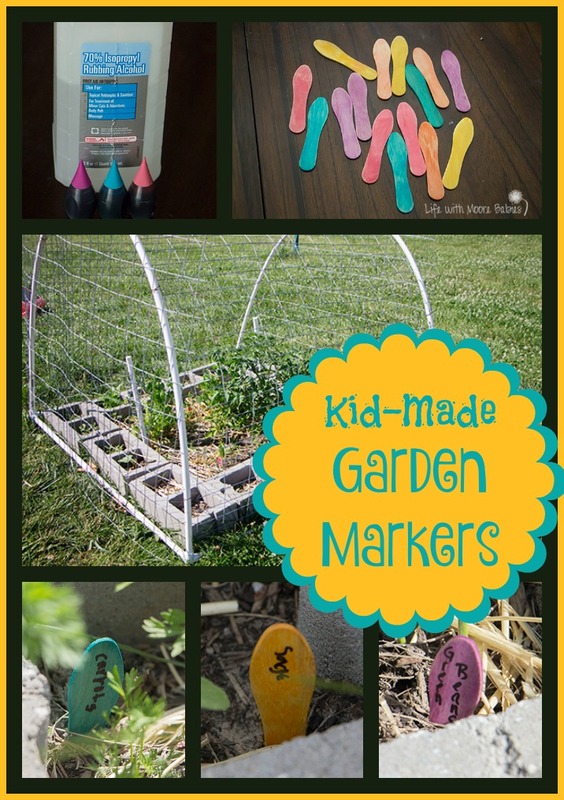 Not ready for the garden markers quite yet? Check out our Recycled Newspaper Seed Starters!